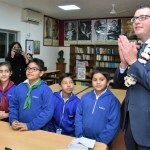 Premier Daniel Andrews today visited Bluebells School International in Delhi and participated in a school lesson conducted via Skype with Bluebells’ Victorian sister school, Rangebank Primary School in Cranbourne. 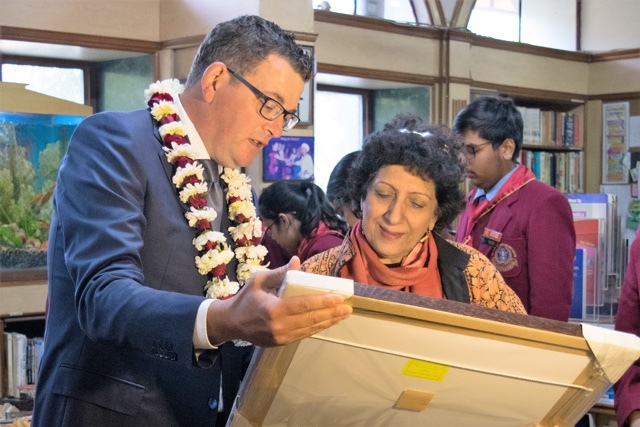 The visit, part of Mr. Andrews official tour to India this week, follows the launch of the Government’s new strategy – Victoria’s India Strategy: Our Shared Future – in Melbourne on Sunday. 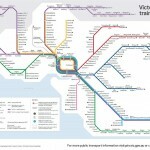 The strategy is an ambitious blueprint aimed at doubling our goods exports to India, attracting more international students to enroll at our world-leading education providers and encouraging more people from India to experience for themselves the best of everything a visit to Victoria can offer. 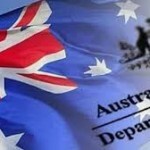 - A two-year Victorian Schools and Indian Diaspora Partnerships Program to deepen Victorian schools’ engagement with India by harnessing the knowledge of the Indian diaspora to develop and support partnerships between schools in India and Victoria. 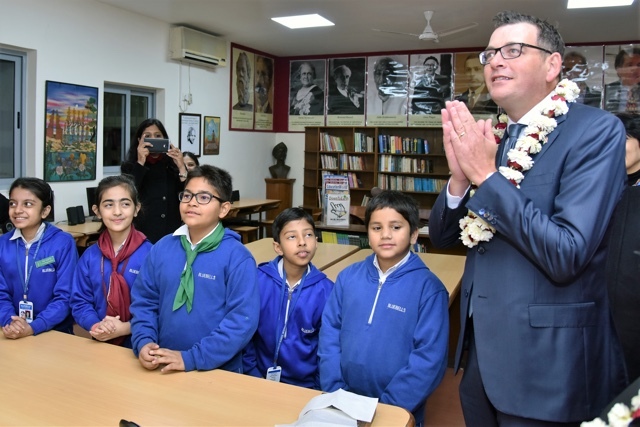 Premier Daniel Andrews said, “Victoria is proudly home to the largest number of people with India heritage in Australia – it’s only right our students understand the significance of Indian culture, and the economic contribution India makes to our state. 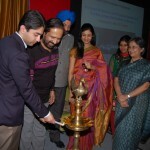 Earlier, Mr. Andrews presented Victoria’s ten-year India Strategy: Our Shared Future to senior India government officials and business leaders in Delhi. 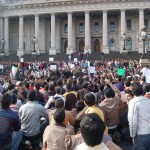 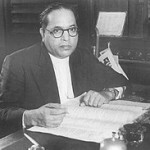 - ALL PHOTOS: Victoria Govt.